OMG Posters! » Archive American McGee's Alice: Madness Returns Prints Now Online! - OMG Posters! American McGee’s Alice: Madness Returns Prints Now Online! The prints from Gallery 1988’s show for American McGee’s Alice: Madness Returns are now up for sale. They were previously covered with all images here. I assume some of these will go pretty fast. Hurry over to Alice2Store.com. just bought one. gdamn finally i get a kevin tong poster. I hav to say, its an amazing poster but I do wish the window was not there. Still damn sweet. I need to stop buying posters. I have no more walls. yeah I was a little turned off by the door as well but still pulled the trigger. Gorgeous poster, but not digging the door frame, so ultimately decided to pass. Sure it’ll look amazing in person. Love Rhys Cooper & Zend Shuo’s prints, both visually stunning. Tong’s work always looks better in person. Stick it on a door and freak people out! Respect the artist perspective. Leave the door shown. As big as this beauty is, the focus is in the middle; being brighter colors than the door. All you critics need to save it. This is a large print anyway. I love it. +1. also glad edition was larger than usual. Seems people wanna buy more cause smaller edition. I buy for art work. The Griffin is pretty cool, not sure it will look great on my wall. I found this print a little too contrived. Won’t be in my portfolio. Passed just because I can’t get this on the wall anytime soon, wouldn’t want it to languish in the portfolio forever. had fun in Austin at Shep’s/Alamo They Live with some EBers. Why is EB down all weekend????? Jeez!!!!!! I got 1 Rhys Cooper and 1 Ken Taylor. 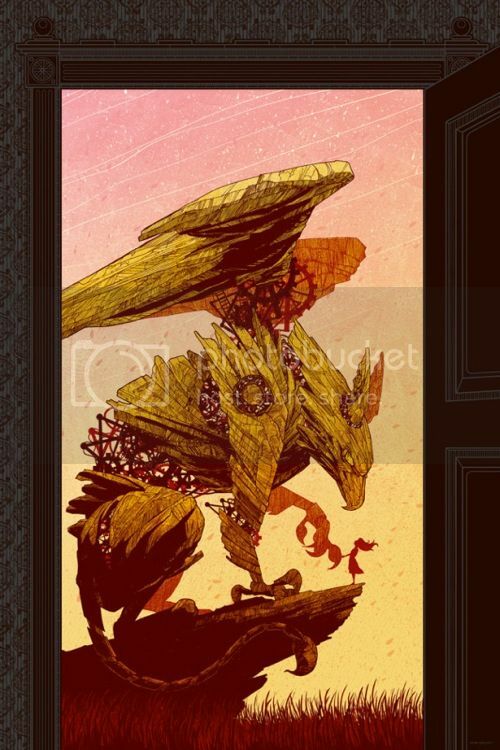 I was thinking about the Kevin Tong, but the door frame does bother me, and i’m not about to purchase a print only to alter it (cutting the middle image out). It’s an amazing print though, and an artist that i will definitely take more notice of from now on. Have none of these prints sold out yet?